Turkey’s president vowed Sunday that his country would open an embassy in eastern Jerusalem, after a coalition of Islamic states recognized portions of the Israeli capital city as the capital of a Palestinian state. Last Wednesday, Turkish President Recep Tayyip Erdogan chaired an emergency meeting of the Organization of Islamic Cooperation (OIC) in response to President Donald Trump’s recognition of Jerusalem as Israel’s capital a week earlier. The president also ordered the State Department to begin work on relocating the US embassy from Tel Aviv to Jerusalem. Following Erdogan’s lead, the OIC declared portions of Jerusalem to be the capital of a future Palestinian state at last week’s meeting. On Sunday, Erdogan issued an additional statement on Jerusalem, adding that Turkey intends to open an embassy to a Palestinian state in Jerusalem, despite the city being a sovereign part of Israel. 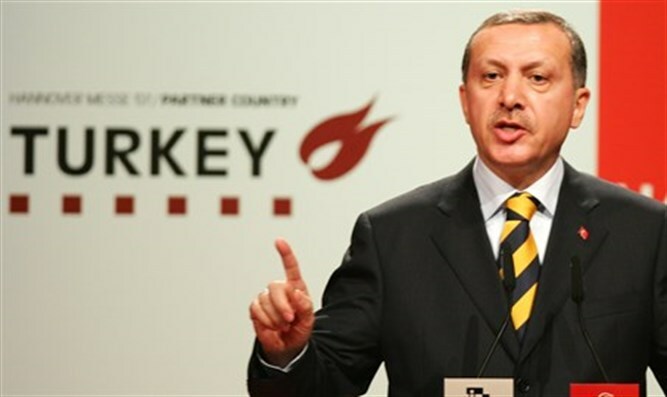 Last year, Turkey signed onto a reconciliation agreement with Israel, after having severed ties with the Jewish state in 2010, when Israeli soldiers boarded a Turkish blockade-runner attempting to bypass Israel’s security blockade on the Hamas-ruled Gaza Strip. When pro-Hamas Turkish citizens onboard the ship assaulted the soldiers, IDF forces responded by opening fire, killing 10. The Turkish government threated to again cut ties with Israel earlier this month after President Trump recognized Jerusalem as Israel’s capital.